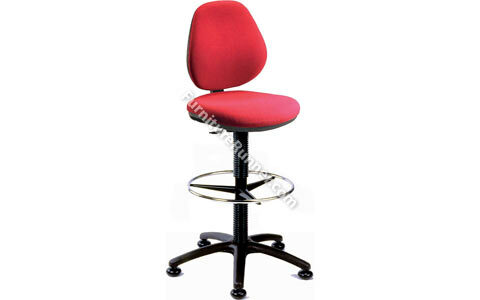 Medium back operator chair with gas seat height adjustment, a permanent contact backrest and a height adjustable footrest. Accepts optional armrests. • Draughting or counter work chair incorporating ring kit conversation • Gas lift seat height adjustment • Foot ring for off floor support • Height adjustable footrest • Permanent contact backrest • Durable five star base with glides for stability • Accepts optional armrests • Requires easy self assembly.